Disneyland is called the “happiest place on earth”…at least that’s how the Disney company calls it. A place of magic and wonder where Mickey Mouse is the king. I usually visit Disneyland only when relatives or friends out of town come and visit California. Disneyland is a must see attraction for Southern California, so we’ve got to take our friends when they come to visit. 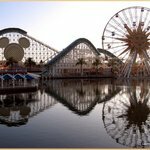 This time however, was very special because I took my wife and my daughter to visit and it was their first time visiting Disneyland. I think it’s pretty cool to take people to Disneyland especially if they’ve never been there before. I wouldn’t say that this place was very happy…especially because of the crowds…but it was very nice and entertaining for sure. Disneyland is such a famous tourist attraction in Southern California, that if you ask almost anyone on the street in Southern California, they would be able to give you directions so you can get there. They would tell you something like this: just go on the 5 freeway towards Orange County and look for exit signs that point to Disneyland. The freeway exit from the 5 freeway will actually take you over all the surrounding traffic and drop you right at the entrance of the park where you park your car. They made is so easy to get to Disneyland that you really cannot get lost looking for it. Get Fast Passes when you get into the park…you’ll forget to do that once you start going to some of the rides. Fast Passes are only distributed until 6 or 7 in the evening. Yeah! Must get Fast Passes otherwise the wait to the most popular rides varies between 40 minutes and 1 hour and 30 minutes. It’s really worth it to get Fast Passes. Ok…I’ve said it enough times, but you’ve got to get Fast Passes. You can only enjoy some of the rides during daytime. For example Jungle Cruise is pretty good at night but much better during daylight. So, organize your visit so you see the rides that are in open air during the day and save the ones indoor for the night. Things you must see: The Parade, The nightly show at 9pm (called Fantasia) and the Fireworks. Everyone sees them and you’ve got to see them as well…they’re great! Our friends from Minnesota came on Easter weekend and we ended up in Disneyland during Spring Break and it was very very very very crowded. Even though we got there on a Friday, Spring Break made it very hard to enjoy the place to the fullest because of the crowds. Next time we’ll make sure we don’t go during any holiday or school break….it’s way too crowded. Even for Southern Californians who are used with heavy traffic and crowded malls this was too much. Well anyway…we went…and we enjoyed it for the most part. We made a mistake and stayed almost two hours in line for Finding Nemo even though we could have done other ones instead or maybe do Finding Nemo at night. Well, it was one of the few rides where we could take our daughter and she just loves Nemo…so we had to go see it. I have asked my wife to write down some of her impressions…being there for the first time and all. So here are her thoughts. I was so excited to go….but I didn’t know what to expect. I only knew that it is like a wonderland….how could it possible be in this “pragmatic” and “materialistic” California? Somebody told me that Disneyland is for kids, what Las Vegas is for adults. ..I haven’t seen either so I didn’t know what to think. Growing in an ex-communist country…this was something that we didn’t even dare to hope to see. But this miracle happened later for me. This miracle made me act, feel and became a little girl again. I enjoyed everything like I was 20 years younger. I was finally in the place were I could meet all the characters that I only saw in short clips or heard about as a kid. Entering Disneyland’s gates you enter in a fairy tale world where your childhood dreams become alive. This was the place where I could become the princess that I wanted to be as a little girl… too late for me in reality but never too late for my imagination. However, I cried because this dream was possible for my daughter (almost two years old)…I made her a princess. I cried because what I dreamed to see all my life, she is able to enjoy at an early age. She has the freedom to have a wonderful childhood. Leaving this place I felt that I paid a debt to my past….I had peace because I accomplished the mission for the child inside of me. 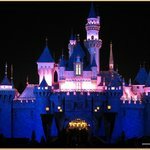 I considered myself privileged, because there are so many children and adults that are not able to ever see Disneyland. My name is Vlad and over the last 10 years I have been helping people plan their California travel by sharing detailed travel information and photos. I get the best prices and hotel selection anytime I need to travel. I have been getting the best prices and experience for over 15 years. Find local tours and skip-the-line tickets to best California attractions.